Team Curiosity = Champions! 11/10/2013 | Travis the Warrior --- Kickin' Cancer! 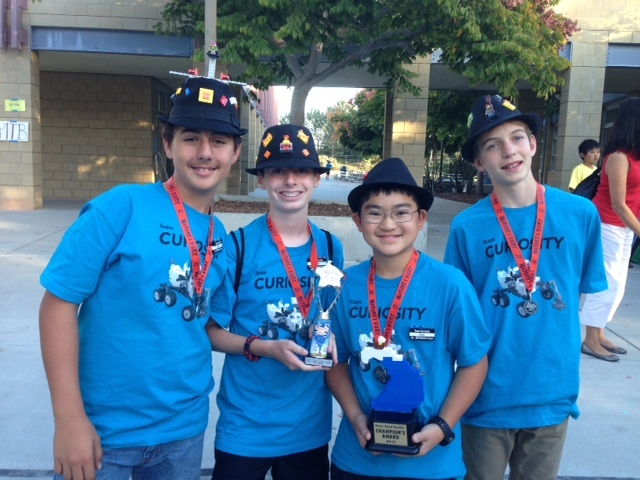 Congratulations to Team Curiosity for their impressive win at Saturday’s First Lego League (FLL) Qualifying Tournament where they faced off against some of the brightest kids/teams in San Diego County. Tyler joined the team with Blake, Blas and Klaus to compete this fall and they are being coached by Klaus’ mom, Liana. The theme for this year’s competition is “Nature’s Fury” so the team had to solve problems with the Robot and do a Research Project related to this main topic. The team took first place in the Robot Missions portion of the tournament for achieving the highest mission score after completing three rounds of competition (they actually had the first and second highest scores). They were also crowned the overall Tournament Champions based on their success in the Core Values, Research Project (Emergency Preparedness Kit) and Robot Programming portions of the competition. With the win, the team qualifies to compete at the big Legoland tournament in December where they will face off against the best of the best. The best way to summarize FIRST LEGO League is to say that it is a robotics program for 9 to 16 year olds, which is designed to get children excited about science and technology — and teach them valuable employment and life skills. In FLL, the children do the work! And the work is programming an autonomous robot (using the LEGO® MINDSTORMS® robot set) to score points on a thematic playing surface, creating an innovative solution to a problem as part of their project, all while being guided by the FLL Core Values. 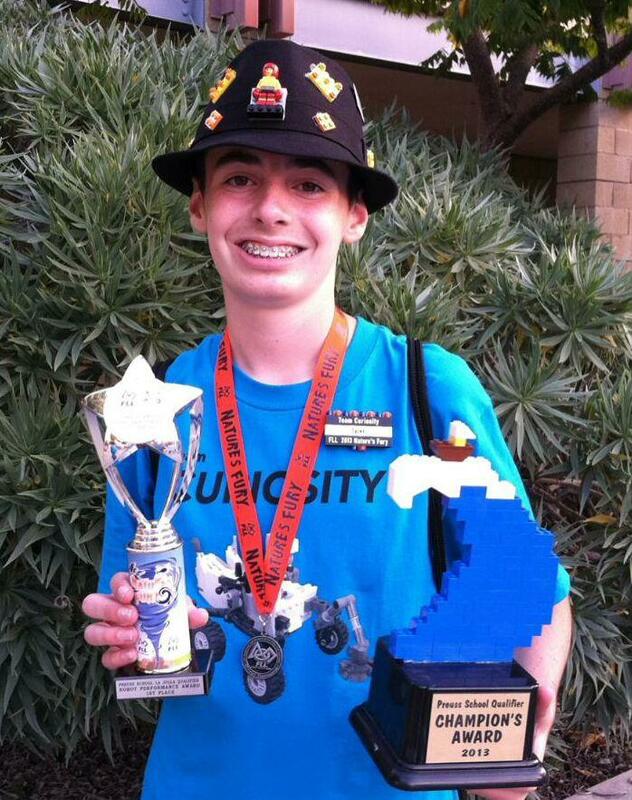 These three elements – the Robot Game, Project, and FLL Core Values – make up what we call our yearly Challenge. Way to go Team Curiosity and good luck at Legoland! Very Cool – maybe ready for MIT next! I’m very impressed!!! Way to go Tyler, Blake, Blas and Klaus. Congratulations to Tyler and his team mates. Congratulations Tyler. Good luck in December!